Slow food, microbrewing, real simple living: Call it the rebellion of the hipoisie. Young Urban Professionals with a Won’t Be Fooled Again agenda. And now comes the investing counterpart, locavesting. “Across the country people are figuring out ways to invest in their local businesses and communities. In the process, they are rebuilding economies, revitalizing downtowns and rural Main Streets, and establishing a sense of shared purpose and wealth,” writes Amy Cortese. 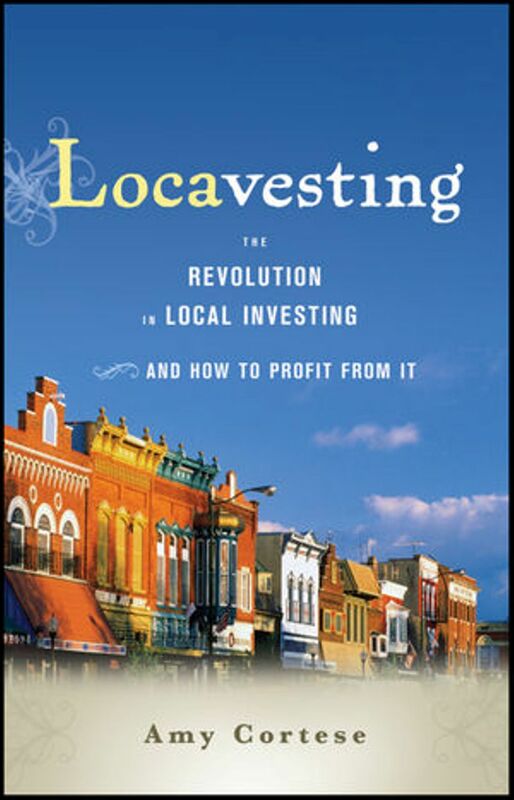 A former BusinessWeek colleague, Cortese has just published an authoritative catalog of this trend, Locavesting: The Revolution in Local Investing and How to Profit From It (Wiley, $22.95), with loads of “imagine that!” examples from across the United States. Bookstores are frequent beneficiaries of this sort of local largesse. The failing Tsunami Books in Eugene, Oregon, was bailed out in 2005 by a group of investing professors; The Community Bookstore of Brooklyn, N.Y., was saved in similar fashion in 2007. But Cortese makes clear that such second chances do not altogether depend upon the good-spiritedness of friends. Rather, there are an emerging group of small institutions that are active players in locavesting. In Hardwick, Vermont, the private equity team of Merritt & Merritt & Moulton has helped provide capital to such outfits as heirloom-seeds seller High Mowing Seeds and organic farmer Pete’s Greens. “Crowdfunders” including Kiva and Kickstarter have backed any number of improbable entrepreneurs. There are even “do-it-yourself public offerings,” Cortese tells us, in which outfits like mac-’n'-cheese maker Annie’s Homegrown sell shares to the public. None of this, of course, is likely to shake the foundations at Citicorp. “Locavesting is in its very early days,” Cortese tells us, and “the regulatory challenges cannot be overstated.” Nevertheless, it’s an interesting trend that may help save the free market from itself…or at least from some of its excesses. Marx and Engels once wrote how capitalism “left remaining no other nexus between man and man than naked self-interest.” Perhaps locavesting can help rectify that brutal tendency. Intriguing book idea. Congrats to Amy. But maybe naked self-interest is not a bad thing. If police didn’t want donuts, they wouldn’t invest, would they?